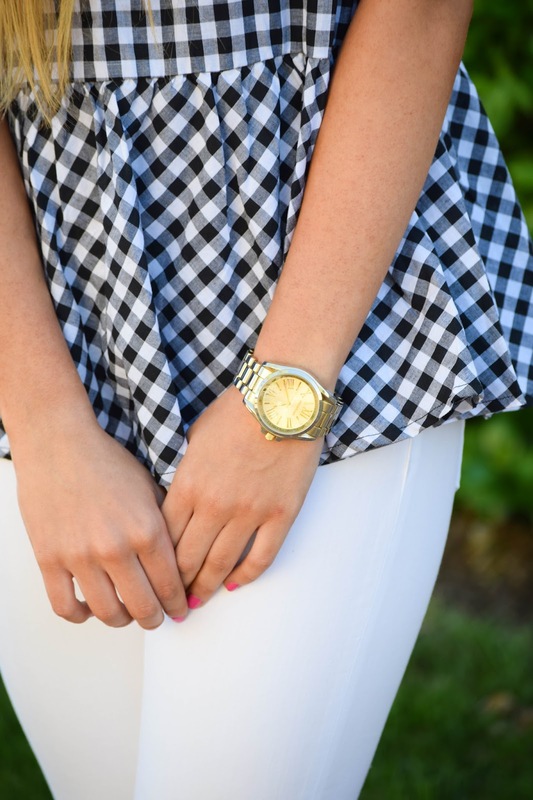 Spring is in full swing so I am all about bringing out my favorite gingham pieces right now. 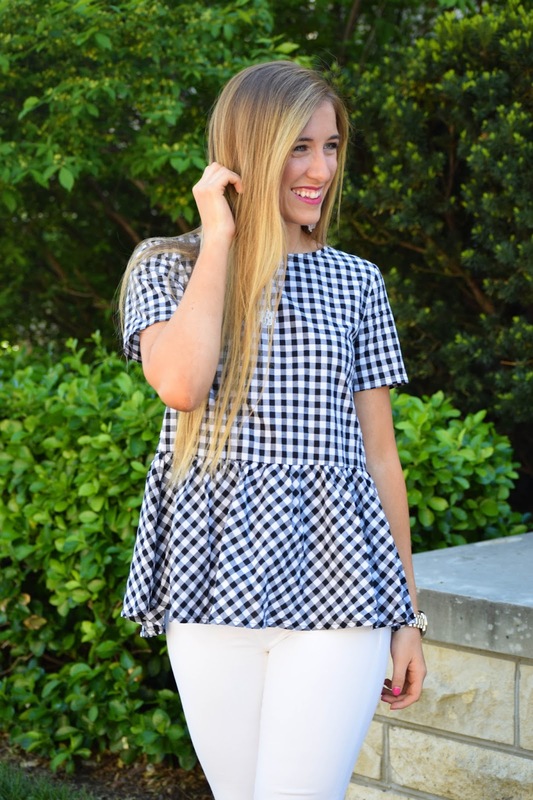 I was so excited to add this extremely affordable top from SheIn to my collection because the peplum bottom and bows on the back are simply darling! I'm sure y'all have heard of the online store SheIn by now. While the prices often times seem too good to be true, after several orders from them over the years I have not been disappointed once! My only recommendation is to thoroughly read through the reviews and measurements. I always make sure to read everything about to the product beforehand, and I think that's why I've been able to score lots of cute and trendy pieces for unbeatable prices! Take this top for example that is only $20! 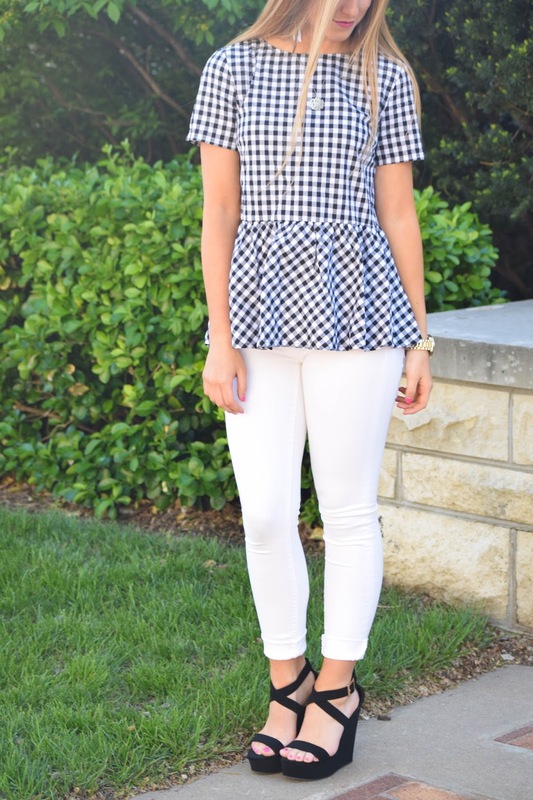 Gingham is such a fun and classic pattern for the spring and summer, and this top comes in three colors. Surprisingly, I liked straying away from my typical blue and white gingham pattern with black this time. 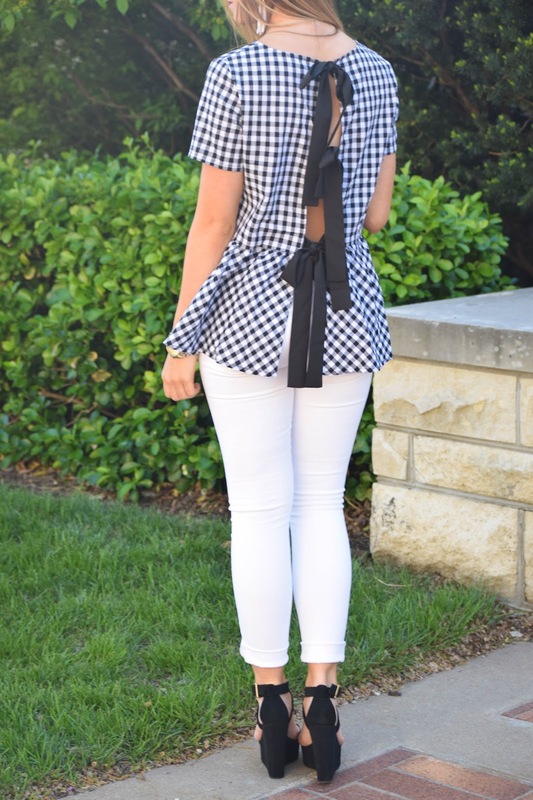 Although my favorite part of this top has to be the bow back! It's such a pretty, girly detail, and it allows you to have a fun and summery open back look without revealing too much. Since the top is pretty busy I chose to keep the rest of the look fairly simple with my favorite pair of white jeans, black wedges and white tassel earrings for a fun touch! I was really impressed with how flattering this top was, and I would totally recommend taking a look through their website for more summery pieces! I'll be sharing some more of my favorites on here and my Instagram soon so be sure to check back for those!